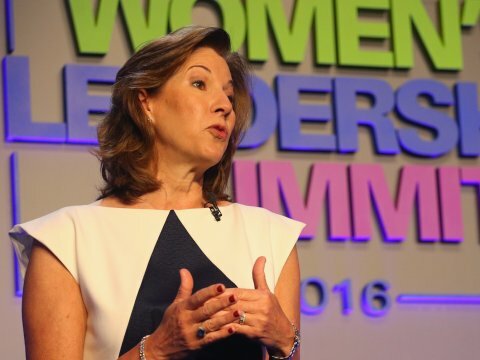 KPMG US CEO Lynne Doughtie is on the steering committee of the CEO Action for Diversity and Inclusion. CEOs and senior executives of 175 of the United States' largest companies announced Monday that they are pledging their organizations to diversity goals and are forming a committee to ensure they follow through. Signatories represent a broad range of industries and include American Express' Kenneth Chenault, CBS's Leslie Moonves, IBM's Ginni Rometty, PepsiCo's Indra Nooyi, and Walmart's Doug McMillon. One non-CEO on the list is PwC's US chairman Tim Ryan, who spearheaded the initiative — the CEO Action for Diversity and Inclusion — a year ago. Ryan is joined in the initiative's steering committee by the CEOs of Accenture, BCG, Deloitte US, the Executive Leadership Council, General Atlantic, KPMG US, New York Life, and Procter & Gamble, as well as EY's US chairman, Steve Howe. The CEO Action for Diversity and Inclusion members have agreed to three actions: build trust within the organization through "complex, and sometimes difficult conversations about diversity and inclusion," develop and implement unconscious bias training for all employees, and share all best practices as well as failures in this area with all members of the initiative. The steering committee is planning on checking in monthly and will be holding a summit later this year. Ryan told Business Insider that the seed of the idea was planted when, during his first week as senior partner at PwC late July, a gunman killed five white Dallas police officers amid a peaceful protest in the city against the police killings of African-American men Alton Sterling in Louisiana and Philando Castile in Minnesota. As Ryan prepared for his new leadership role within the company, he began thinking about how the intense racial tension in America was affecting his employees. On July 21, he led a long internal discussion on race. "That went very well, but as I spent more and more time with our people, they challenged me, and asked, 'What are we going to do outside of PwC?'" he said. "It caused me to think a lot. I stepped back, and I asked myself, 'What is our responsibility?'" Ryan proposed formalizing an initiative that would publicly commit themselves and their companies to making changes, and Mathas was on board. Mathas said that he has seen within New York Life the ways that having candid conversations around diversity can not only lead to practices that result in serving their customers better, but build trust among a company's leadership. He gave an example of such a conversation he held last year, in which one of NYL's top executives said that every day as he walks through Penn Station on his commute to work, he notices police watch him especially carefully, given that he's a black man with a large build. "I sort of get this when I read about this in the paper," said Mathas, who is white. But he said it didn't connect with him on a personal level until he saw that these issues were quietly weighing heavy on the mind of one of his leaders. "That, for me, is exactly one of the reasons why we have to have some of these conversations," he said. Another CEO Ryan recruited was Ron Parker, of the Executive Leadership Council, an organization started in 1986 to promote the development of African-American corporate leadership. Parker, who joined the ELC after a long career at PepsiCo, said the CEO Action for Diversity and Inclusion is notable for the line of communication it is opening among leaders of competing organizations. "On a day to day basis, they're in hand to hand combat," he said. "They don't usually share ideas around best practices." He said that it is not simply a press release for companies, and that the signatories will be working together on shared goals. "The CEOs, and that's very important, are the ones who signed onto this pledge," he said. "Not their head of human resources, not their chief diversity officer, not their chief communications officer. These are the kinds of leaders who realized they have the responsibility to assume leadership around that which is impeding our companies and communities, to advance and to grow." You can read the full pledge, with its initial list of 175 members, at the initiative's website.